Northwestern University Medical School, 1986. 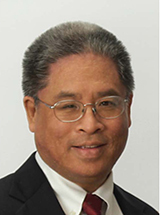 Dr. Wu is the Ferdinand G. Weisbrod Professor in Gastroenterology at the Perelman School of Medicine at the University of Pennsylvania where he is the Associate Chief for Research in the Division of Gastroenterology and is also the Associate Director of the Center for Molecular Studies in Digestive and Liver Disease. He is currently Director and Chair of the Scientific Advisory Board for the American Gastroenterological Association Center for Gut Microbiome Research and Education and is an elected member of both the American Society for Clinical Investigation and the American Association of Physicians. The research programs in the Wu laboratory focus on the mutualistic interactions between the gut microbiota and the host with a particular focus on metabolism. Growing evidence suggests that diet impacts upon both the structure and function of the gut microbiota that, in turn, influences the host in fundamental ways. Current areas of investigation include the effect of diet on the composition of the gut microbiota and its subsequence effect on host metabolism related to nitrogen balance as well as its impact on metabolic pathways in the intestinal epithelium, principally fatty acid oxidation. Through a UH3 roadmap initiate grant, he is helping to direct a project investigating the impact of diet on the composition of the gut microbiome and its relationship to therapeutic responses associated with the treatment of patients with Crohn’s disease using an elemental diet. Finally, Dr. Wu is leading a multidisciplinary group of investigators using phosphorescent nanoprobe technology to examine the dynamic oxygen equilibrium between the host and the gut microbiota at the intestinal mucosal interface. Ni J, Shen TCD, Chen EZ, Bittinger K, Bailey A, Roggiani M, Sirota-Madi A, Friedman ES, Chau L, Lin A, Nissim I, Scott J, Lauder A, Hoffman C, Rivas G, Albenberg L, Baldassano RN, Braun J, Xavier RJ, Clish CB, Yudkoff M, Li H, Goulian M, Bushman FD, Lewis JD, Wu GD. : A Role for Bacterial Urease in Crohn's Disease and Gut Dysbiosis. Science Translational Medicine 2017. Shen TC, Chehoud C, Ni J, Hsu E, Chen YY, Bailey A, Laughlin A, Bittinger K, Bushman FD, Wu GD: Dietary Regulation of the Gut Microbiota Engineered by a Minimal Defined Bacterial Consortium. PLoS One 11: e0155620, May 2016. Yang Y, Owyang C, Wu GD: East Meets West: The Increasing Incidence of Inflammatory Bowel Disease in Asia as a Paradigm for Environmental Effects on the Pathogenesis of Immune-Mediated Disease. Gastroenterology 2016. Sartor RB, Wu GD: Roles for Intestinal Bacteria, Viruses, and Fungi in Pathogenesis of Inflammatory Bowel Diseases and Therapeutic Approaches. Gastroenterology 2016. Lewis JD, Chen EZ, Baldassano RN, Otley AR, Griffiths AM, Lee D, Bittinger K, Bailey A, Friedman ES, Hoffmann C, Albenberg L, Sinha R, Compher C, Gilroy E, Nessel L, Grant A, Chehoud C, Li H, Wu GD, Bushman FD. : Inflammation, antibiotics, and diet as environmental stressors of the gut microbiome in pediatric Crohn's Disease. Cell Host Microbe 18(4): 489-500, October 2015. Chehoud C, Albenberg LG, Judge C, Hoffmann C, Grunberg S, Bittinger K, Baldassano RN, Lewis JD, Bushman FD, Wu GD: Fungal signature in the gut microbiota of pediatric patients with inflammatory bowel disease. Inflammatory bowel diseases 21(8): 1948-56, August 2015. Kelsen J, Bittinger K, Pauly-Hubbard H, Posivak L, Grunberg S, Baldassano R, Lewis JD, Wu GD, Bushman FD: Alterations of the subgingival microbiota in pediatric Crohn's disease studied longitudinally in discovery and validation cohorts. Inflammatory Bowel Disease Epub ahead of print, August 2015. Lee D, Baldassano RN, Otley AR, Albenberg L, Griffiths AM, Compher C, Chen EZ, Li H, Gilroy E, Nessel L, Grant A, Chehoud C, Bushman FD, Wu GD, Lewis JD: Comparative effectiveness of nutritional and biological therapy in North American children with active Crohn's Disease. Inflammatory Bowel Disease 21(8): 1786-93, August 2015. Shen TC, Albenberg L, Bittinger K, Chehoud C, Chen YY, Judge CA, Chau L, Ni J, Sheng M, Lin A, Wilkins BJ, Buza EL, Lewis JD, Daikhin Y, Nissim I, Yudkoff M, Bushman FD, Wu GD: Engineering the gut microbiota to treat hyperammonemia. Journal of Clinical Investigation 125(7): 2841-50, July 2015. Bryson AL, Hwang Y, Sherrill-Mix S, Wu GD, Lewis JD, Black L, Clark TA, Bushman FD: Covalent modification of bacteriophage T4 DNA inhibits CRISPR-Cas9. mBio 6(3): 00648-15, June 2015.